Joseph Hayton trained at York College as a Stonemason before turning exclusively to carving and sculpture. Using age-old traditional methods and techniques Joe produces hand carved stonework in a range of materials including, Limestone, Slate, York Stone as well as Marble. His workshop and gallery are based in Pateley Bridge, North Yorkshire and are open to the public most days including weekends. 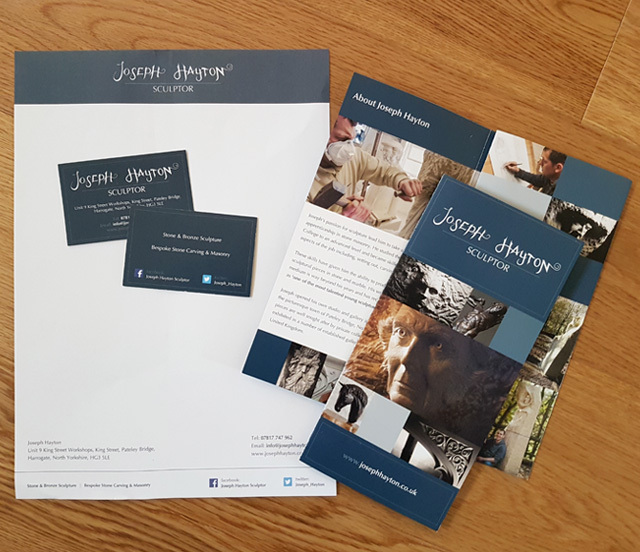 Joseph Hayton comissioned ID Creations to design his logo with stationery and an 8 page letterfold leaflet which introduces Joseph and his specialist works. Joseph’s brand has a sophisticated feel to it which relects the quality of work that he produces. 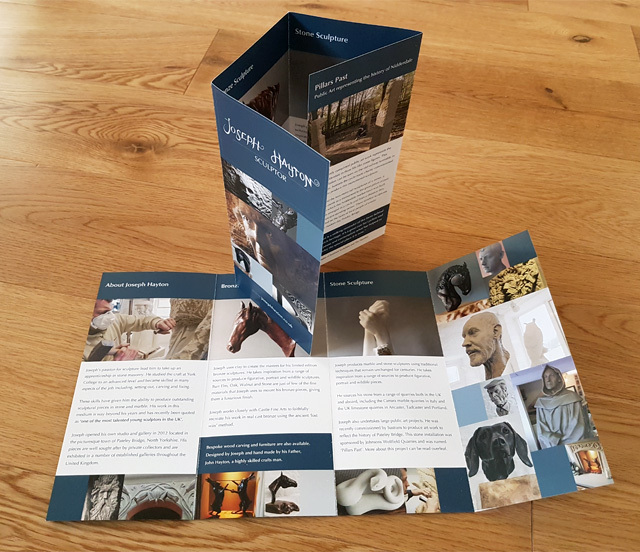 All the images featured in the leaflet are Joseph’s orignal pieces of art. “I can highly recommend ID Creations, the quality of the design work is very professional and was done very quickly. I’m very happy with the work done on my leaflet design, and will definitely use them again in the future”.